Happy Sunday! 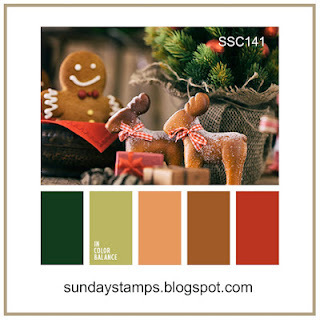 It's time for a new challenge at Sunday Stamps and this week we have a color challenge. The image and colors definitely make me think of gingerbread, but that's not what I went with on my card. I decided to pull out one of the new Christmas sets from MFT that I haven't inked up yet. Once again I used the sketch at Freshly Made Sketches as my starting point. 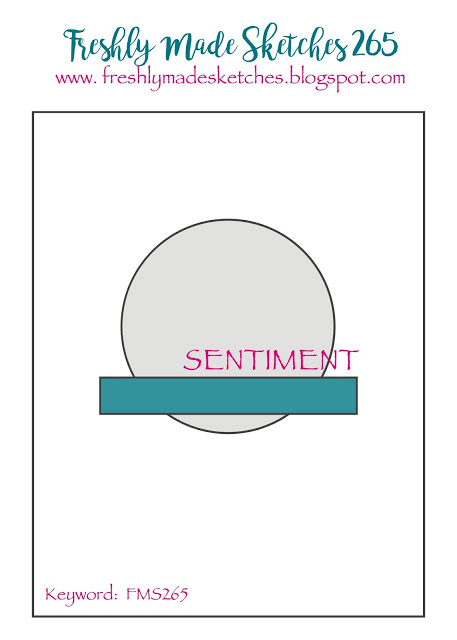 I happened to see the sketch while I was on break at work and checking out Blogger and as soon as I saw it the idea for this card popped into my head. I die cut out a circle and then embossed with the Softly Falling EF from SU. I stamped the deer in Baked Brown Sugar (SU retired) and the tree in Garden Green, and then colored the tree in with a copic marker. 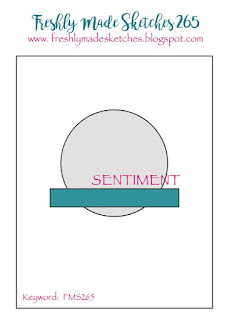 As you can see in the sketch the sentiment is on top and then the element across the bottom of the circle....I die cut 2 of these borders and just layered them to follow the sketch. I finished it all off with some Baked Brown Sugar DSP layered onto a card base of Baked Brown Sugar. 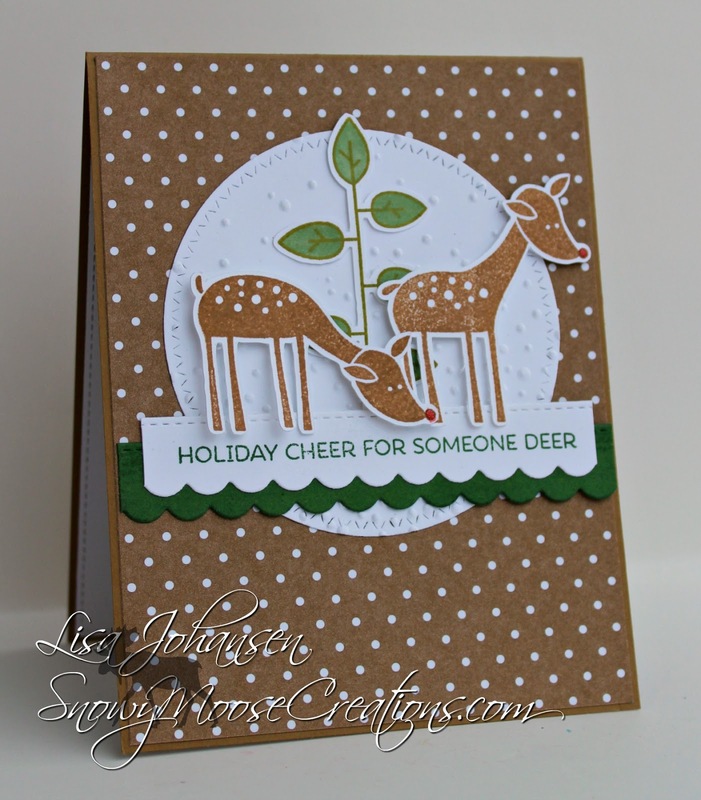 Make sure you head over to the Sunday Stamps blog to see what the rest of the DT created and then play along with us! I've gone back and forth with buying that set - but you've just pushed me over the top. Love them with the polka dot background and the pops of green. Thank you for playing along with us at Freshly Made Sketches. oh wow lisa, this is precious, the deer have to be the cutest I have seen...sweet, sweet design! have a great rest of the week and weekend! Way, way too cute! I had a smile on my face the minute I saw it. Just adorable, Lisa!